Hey everyone just wanted to say whats up. I am new to this forum as I have recently got my R34 Gtt. I will post some pics of the car and my build but Its currently running an Rb26/30 with the R33 gtst 5 speed. whaaaaattsssss up guys!!!!!!! so my r34 4door is part of a friends movie project for their studies. ive bought some gauges to put onto the car for shoots but am lost at the moment. i bought an exhaust temp and water temp gauges to hook up just cause they look nice haha. now its only going to be a temporary thing and they dont actually need to read anything, just illuminate if that makes sense. then ill take em out. but im wondering whats the best way to go about that?? So live in New York, after banging my head against a keyboard trying to get any info out of the US forums I found you guys and gals. Even as a lurker I found you guys to be incredibly helpful. Also you seen to be much more willing to push the limits more. Current car is a 1990 R32 GTR 128 Km mod list includes: 94 RB26TT 94 Trans Stock turbos w/steel internals HKS intercooler and piping HKS BOV HKS intake Aftermaket Cam pullys Manuel Boost Controller N1 Oil Pump N1 Water Pump Exedy single clutch Nismo Downpipe ISR stainless steel test pipe Nismo Catback (I think its for a R33 it has the carbon fiber tip) Planned/considered mods: Nistune(already on its way) Make the damn Nismo exhaust loud Cams EBC? Injectors Coil pack Turbos R34 Trans The Moon Would love some advice on any of the above mods or any things you think i should do first, especially the EBC and coil packs. Currently looking to get 4-450 whp with the current set up with an overall goal for now is to get to somewhere in the range of 550-600 whp maybe 700 if I'm feeling frisky. Only real issue with the car so far is that it keep over boosting to the point that I can go 3/4 throttle without it spiking to 20 psi (feels amazing/scares the hell out of me). Look forward to hearing what you guys have to say and can't wait to build this machine. Hello everyone! After stupidly having my Gt-r sitting in the garage doing nothing for about 2-3 years I’ve tried to give it a run. I changed the oil and oil filter and tried turning it over with no success (surprise surprise). My battery is fine and it’s got fresh fuel. As I turn it over I don’t get any oil pressure on the gauge, is that expected? Will I only get pressure once it starts? Bit of a noob tbh. I’ve read that the gtr oil pressure sensors are dodge city, could that be stopping it from starting? Im going to check for spark but I’m worried it’s full of sludge. Can anyone point me in the direction of a good mechanic in Sydney’s south? Thanks! Hi to all members.... I have no idea what I am doing atm. I have never been on a forum before for anything, but I am very aware of the info and general advice and opinions I can get on this type of platform. I am keen to purchase a r32, and whether it be a gtst , or an gts4... As I get more cash down the track, a gtr would be nice too.... As I will be looking at cars wanting to purchase, I was wondering what are common things to look for in regards to wear n tear, warning signs and anything like that.... Please leave a comment and thankyou for the add!! Soon To Be Proud R33 Owner Hi all, my name is Erin. 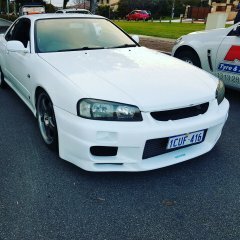 Currently living south of Perth I am looking to buy my first skyline in the near future and do some mods and get right into working on cars. My dream JDM has always been the R33 Skyline so I'm keen to get straight into it as soon as possible and bring my baby to life - starting with the basics and building my skills and expereince before moving onto more complicated mods and builds! I'm posting here in search of any basic beginner mods to start with and even just pics of your mods and skylines so you can all show off your pride-and-joys!! I look forward to seeing all the beauties you guys have - Thanks in Advance!! Newbie from across the pond Hi all, I'm Nishan from South Africa. I know this is an Australian forum but it seems you guys are in the know on the Skylines and it's extremely difficult to find anyone here in SA that knows them well. I've just got myself a 95 R33 GTS. I've always wanted the GTR but after getting the GTS I'm satisfied. Just the sound of the RB25 puts a smile on my face. Current mods include: Milltek exhaust, button clutch, manual boost controller (i think its referred to as a bleed valve?) coilovers and 18" mags The car seems healthy other than: - clutch master cylinder needs to be refurbed - small coolant leak. I have yet to locate this and resolve. - there is some weird noise at times. Its difficult to explain. I'm assuming its the power steering pump/system. Will flush and replace the fluid. Any suggestions on how to to this and what fluid to use? Other than that my to-do list includes: - machine polish the body as it has lost some of its lustre - oil service - coolant flush and replace (will do when i'm repairing the leak) - replace diff oil - replace gearbox oil - replace fuel filter - remove the super dark window tint and replace with a light grey/black - check and clean spark plugs - check and clean brake system - chassis clean - grease axle, U-Joints etc. - engine bay cleanup and tidy - polish intake manifold - strip and clean entire air intake system including ISCV, MAF etc. I'm a big fan of preventative maintenance. Is there anything else that I should be giving attention to? Greetings from Tbilisi, Georgia Hello everyone, my name is Tornike, I'm from Tbilisi, Georgia and I drive 1996 R33 gts25t 4 door. It is my first and only car(for now), it's daily driven and is basically in factory condition, except Nismo 3 inch catback exhaust, HKS hi flow intake and HKS grounding kit. Hey All , my name is John and I'm 30 in a month , ive owned a few turbo cars through my ealier days including a Evo3 mock up 1.8ltr turbo GSR and an xr6T ute. I grew up loving cars thanks Dad haha and since watching the second fast and furious i have wanted a skyline ... So here I am 12 years later and finally take the plunge to get a skyline, I have just purchased an R33 GTST from a forum member and I'm looking forward to getting amoungst the SAU family. As i said I am completely fresh in terms of skylines and I'm sure I'll be asking plenty of questions, so if they come across stupid please cut me some slack haha. What are the best recommendations for a newbie in terms of must dos? Hey Guys, incredibly new to owning a turbo/import as well as not very knowledgeable at all mechanically. Picked up a R33 GTST a week ago. Driving last night I excellerated (not flat but still a bit) and there was a loud pop followed by the engine shutting off. I didn’t notice any smoke etc. left the car to sit for a few minutes and started it. Ran rough for the first start then quickly went back to a standard idle and ran well at low RPM. Nersed it home without hitting 0.00 bar. But if you try to excellerate more the it will not go at all over 0.00. Thinking it could have been a pipe that’s blown off, but a quick look at all the intercooler pipes look tight and okay. In saying this I haven’t taken off any covers etc of anything else. Engine wise car has few small modifications such as larger front mount, turbosmart E-boost street controller, different BOV, 3” Dump pipe and full exhaust, 200kw dyno time and has been really well taken care off service wise. 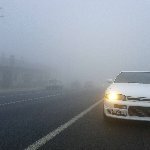 is it likely I have blown the stock turbo? Any advice would be greatly appreciated. Thanks. Good Day, Australia My Name is WHOP, which stands for White, Haired, Old, Person, and I live in England. By Thursday(4th October 2016) noon GMT I will be the proud owner of a 2003 Nissan Stagea AR-X, which I believe you call an M35? Now, as a retired older person (with a mid life that's running a little late) I know I loved the car the minute I saw it. So by spending the Tax Man's inheritance (No KIDS or Wife) only dependences, one wheelchair for 32 years and a carer for 26 years. I have had my hand controls and a wheelchair hoist in the boot fitted so I'm ready to go. The only problems are I know nothing about mechanics or car maintenance. So I will be asking a lot of silly questions about lots of things.... You have been warned. Buying a GTR, and I need your help! Buying a GTR, and I need your help! Hey guys, I've been looking for a clean BNR32/BCNR33 for a while now. I've mostly looked on carsales and it left me with a few questions, hopefully you guys would know the answers, The price range of the cars? How much do they go for these days? Didn't make sense to me how a V-Spec33 would be cheaper than a normal BCNR on carsales... Importing? Costs vs benefits? What should I look out for when buying a GTR? Never bought a car this age before. For the long time owners, reliability issues? Thanks in advance, I'm looking forward to your replies. New to the #nissangang from Washington! Couple ? 's Hello all, the names Mike! im taking the plunge and having a fresh, 46xxx mile '92 gts25 sedan brought over seas for me. 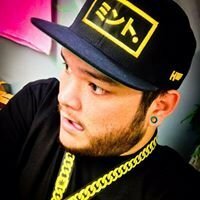 Theres a few things id like to have clarified as I've done a fair bit of searching and either find vague answers, deleted posts, or opposing answers. First off, the rb25 and re5r that is coming in my car, same engine trans as the r33 or an earlier rendition of the two? is it possible to do a simple r33 lsd swap into the 32 assuming the trans is the same? I've also come across a couple threads of some seriously modified auto's to handle massive power. Will a stock trans with an upgraded converter hold on to 300 or so whp? What does everyone do about tuning when having an auto? I assume in these the ecu/TCU are one unit? Guessing that kills the possibility of using a haltech or some standalone? last Q! Yes or no, the gtr front bumper fits right up? I've seen both yes and no answers. Some say you need the fenders others say it fits right on the gts. Hey Sau! I'm Tom and have a fairly stock R32 Gts-t that I've owned for a year and a half now. Mods are basic reliability and cleaning up the car/ making it legal mods but now I'm starting to move into power and handling. Will start a build thread soon so stay tuned!